1. Look for damage right after a storm. If you suspect damage, call a reputable roofing contractor to come look at your roof. Looking at it right after storm decreases chances of questions about when the damage occurred and what caused it. 2. Take pictures and document details related to the damage. Experienced roofer will take pictures and document. They’ll submit a written explanation of what needs fixed and approximate costs. 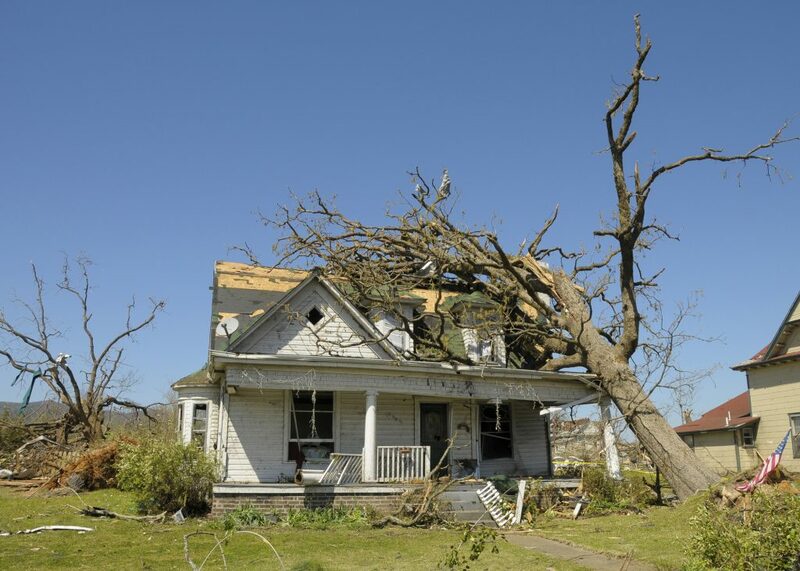 In some cases, you might not have enough damage to warrant an insurance claim. Good practice to take pictures of roof from time to time — pictures should be clear and labeled with date. If you wait too long to submit a claim, it might be too late. Review your policy. If claim is less than $5,000, generally don’t file claim. Rates might go up. If too many claims, might get dropped — then might have hard time finding a decent insurer that doesn’t cost lots and lots. 3. Find out what your policy covers. Call your insurance provider and ask them what your policy covers. If your roof is more than 10 years old, your insurance company may only cover part of the costs to replace it. 4. Choose roofing contractor with insurance experience. Ask for references and ask to see license and insurance. 5. Watch out for contingency contracts. Watch out for contracts disguised as inspection reports. Most roofers offer free inspections/estimates. You shouldn’t have to sign anything when you get the report. If you’re pressured to sign something, it’s a sign you should seek someone else. Working with a reputable roofer — they’ll make sure the roof damage report is filed correctly and the replacement done well.